We’d like to say a huge congratulations to Bethan Roynon who has won Employee of the Month for December! Bethan was nominated by Apollo Cwmbran because she always goes the extra mile. She does all the extra work that comes with having a class of 30, and has never let Apollo down or phoned in sick. Bethan has also attended all of our twilight sessions at Head Office. 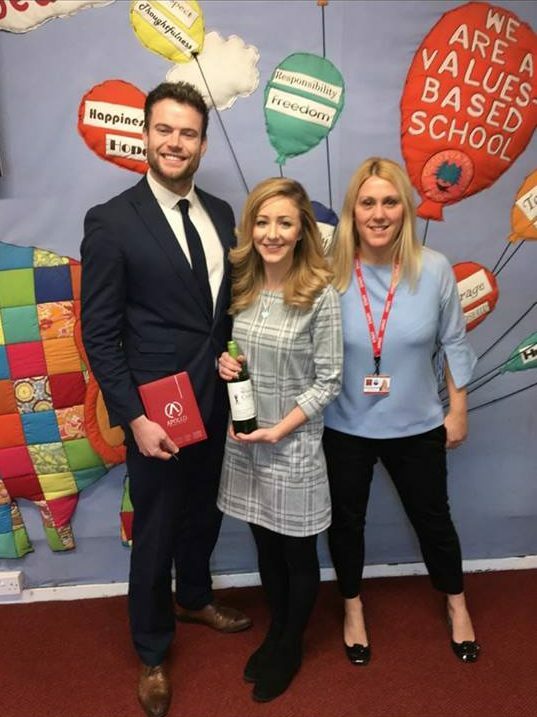 Here’s is Bethan with Cwmbran office manager Marc, and Liz Thomas, Head Teacher of Coed Eva Primary School. Congratulations!